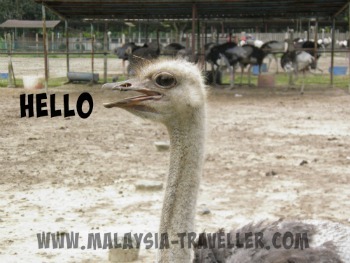 I wrote about Ostrich Wonderland on my Thrifty Traveller blog a couple of years ago and feel it is about time to add it to my Top Selangor Attractions list as it seems fairly popular. 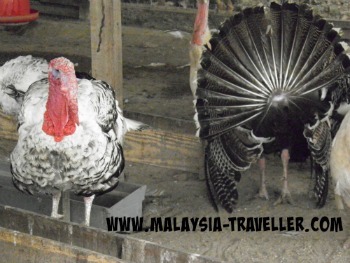 This attraction is owned by people in the commercial poultry business and the birds here are raised primarily for their meat but since they have a spacious compound they allow the public to come in to see their ostriches, geese, turkeys and guinea fowl. The ostriches roam freely in a large pen and seem well looked after. Besides birds there are goats, ponies, rabbits, donkeys and monkeys. 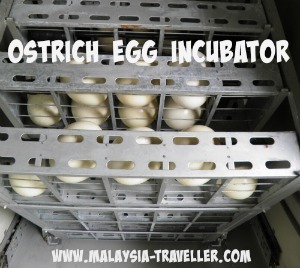 You can take a look at the egg incubators and get a briefing on raising exotic birds. You can buy frozen ostrich, chicken or guinea fowl meat to take home and maybe even a turkey for Christmas. They also sell fruit items such as passion fruit and mulberries. A nice place to take the children. Admission is RM15 for adults and RM10 for kids above 3 and below 12. Pony rides cost RM8 for adults and RM5 for kids. I have marked the exact location on the map on my Top Selangor Attractions page. I see they are using one of my Thrifty Traveller photos as their FB cover photo. Since they own the ostriches I won’t complain!